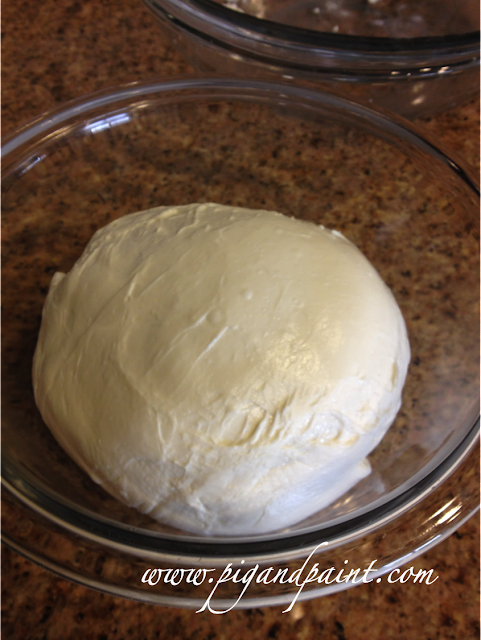 I love making mozzarella at home. It's such a delightful treat. Almost a year ago, I bought a 30-minute mozzarella kit. It's so easy, and the flavor is out of this world. 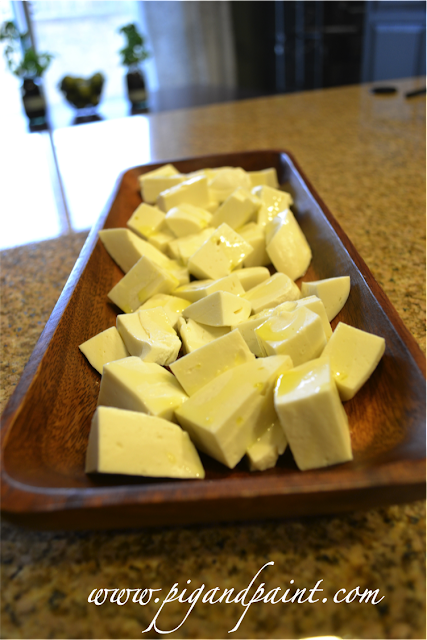 We were having friends over recently, so I decided to take my mozzarella-making one step further and turn it into a decadent appetizer, by adding a drizzle of olive oil and just a touch of white truffle oil. Oh baby, this was stupid GOOD. I started by making mozzarella. The process involves warming whole milk with citric acid and rennet to specific temperatures until curds form. 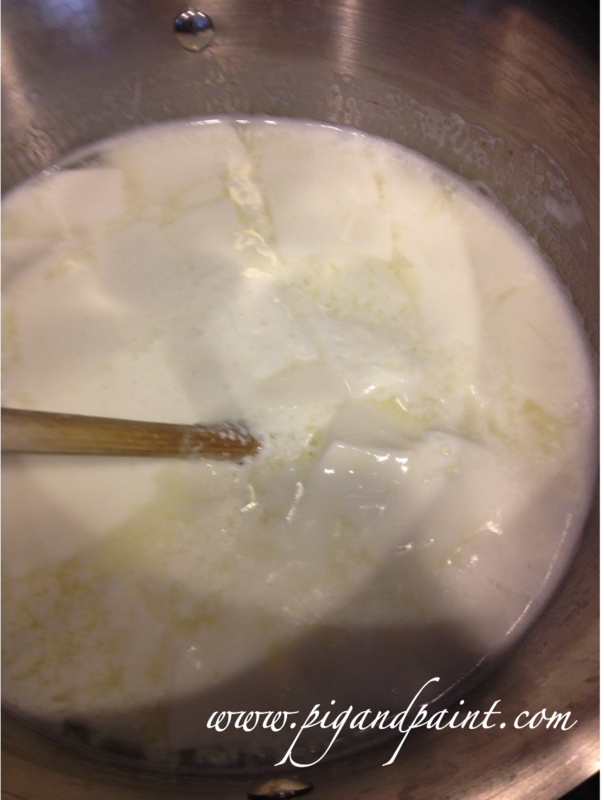 The curds are removed and heated to 135 degrees, and then stretched. 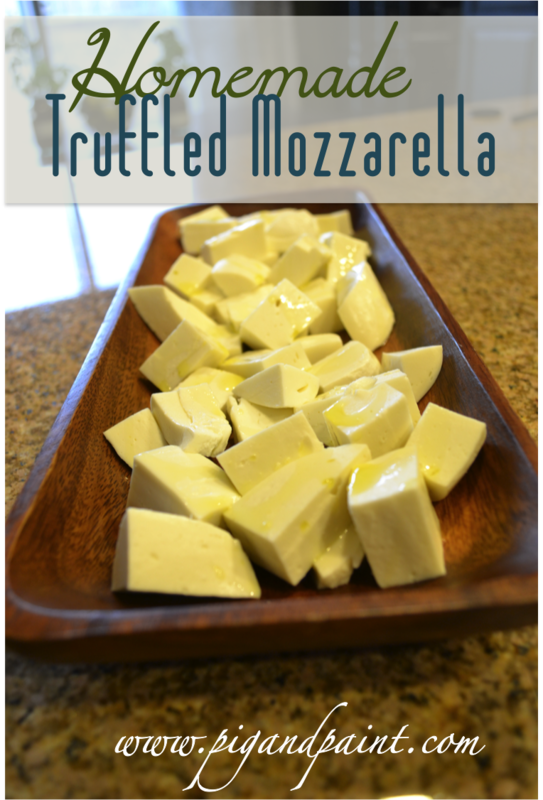 It amazes me every time how it goes from this gooey weird mush and magically becomes cheese. Once the cheese is formed, I submerged it in cool water for 5 minutes, and later to an ice bath for 15 minutes, so that the cheese will maintain its shape. I drained the water and stored the cheese in the fridge. 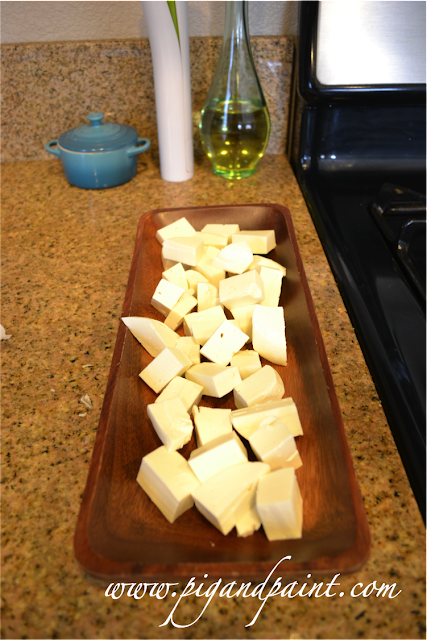 About 10 minutes before my guests arrived, I pulled the cheese out and cut it into bit size cubes. I drizzled a small amount of EVOO over the cubes, and then an even smaller amount of white truffle oil. 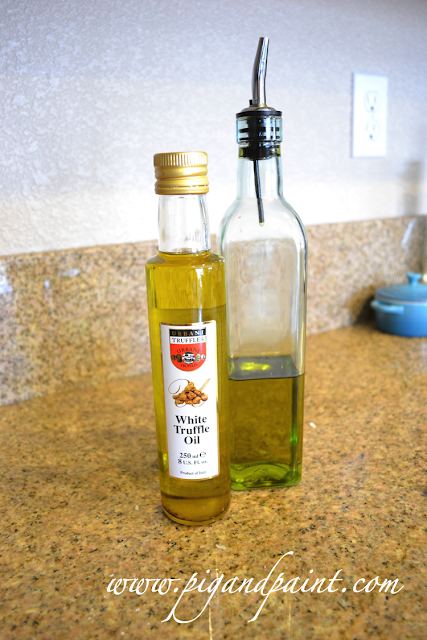 Both oils are very flavorful, so it's important to only use a small amount. 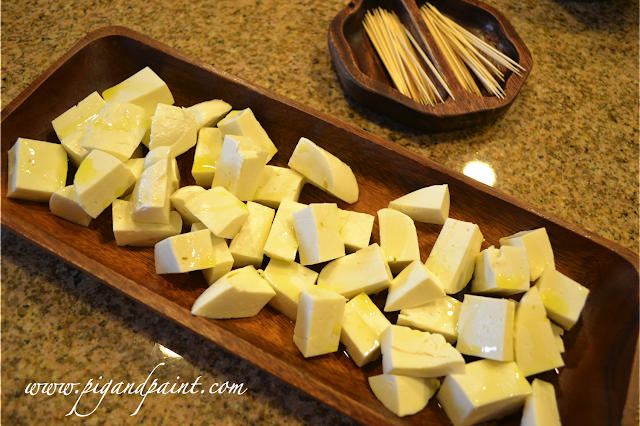 I served the cheese with toothpicks. It was so amazing!